Music For Megaliths is the latest album from Steve Von Till's solo project Harvestman. On Music For Megaliths Von Till pays his respect to the standing stones and the ancient landscapes. Von Till is, of course, the vocalist and guitarist for doom metallists Neurosis. Music For Megaliths, however, draws heavily on drone based sounds but it shouldn't be solely regarded as a drone album. 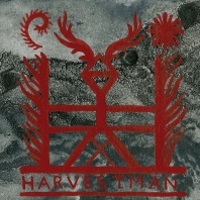 Harvestman mixes traditional instrumentation and folk song but they're performed in abstract fashion fusing drone with elements of noise and psychedelia with one track stretching into blissful shoegaze territory. What makes this so distinct from other drone based material that comes the way of compulsiononline though is Von Till's guitar that shimmers with psychedelic and metal overtones throughout Music For Megaliths. Music For Megaliths opens with the impressive 'The Forest Is Our Temple'; the ringing drone of the hurdy gurdy evoking the landscape and summoning ancient powers. Electronics and a quivering guitar sound bring an almost Krautrock feel as it continues to swell, sweeping up low bass tremors and folk tinged acoustic guitar playing. Drawing on a primal power 'The Forest Is Our Temple' sits on an edge of wonder and in awe of nature and of the stone megaliths. It is by far the best track on Music For Megaliths but much like the stone circles scattered around Britain and the landscapes of much of mainland Europe there are other moments that make this worth hearing. The gnarled tones of 'Oak Drone' are woven around thick effected guitar notes and backward spinning psychedelic electronics. From the title you might picture a pagan figure sitting cross-legged below a tree plucking melodies from an ancient acoustic instrument but what we get here is live-wire dynamics and textures cajoled from electric guitar. I'm seeing a leather clad individual in biker boots and dayglo leggings. I realise I may have just described Julian Cope but given the subject matter and the metal edged psychedelia I make no apologies. 'Oak Drone' closes on synthetic strings but by then some of the magic created from the bucolic opener is already lost. Music For Megaliths picks up again on the low undulating textured drone and lighter airy electronic tones which almost signify the light seeping beneath the capstone held aloft the upright stone columns of 'Cromlech' which is another drone based wonder. Lasting a mere 4-minutes this could and should have lasted much longer. Von Till makes explicit the industrial and noise influences that inform the Neurosis sound on 'Sundown' which deploys harsh noise elements with short bursts of frequencies offset by thudding bass tones and spirals of guitar. Although much different in composition to the opener, 'The Forest Is Our Temple', it is another slow burner, where amidst the dense melange of sound Von Till seeks to map out a melody from chiming and soaring guitar notes. Given Von Till's day job in Neurosis much attention will be focussed on the drones that permeate this but Music For Megaliths isn't all drone filled. 'Ring of Sentinels', which is a wonderful allusion to the stone circles, is the first to pick up a rhythm. Here simple electronic beats and a low sliding bassline underpin cyclical guitars and buzzing analogue electronics. A lead guitar seems to meander around the thick body of sound as if paying homage to these circles of stone megaliths. 'Levitation' is much better though. Here a wall of distorted guitar swill is propelled by live drum rhythms played by Von Till's fellow Neurosis member Jason Roeder. 'Levitation' is firmly in shoegaze territory; its waves of shimmering drone guitar carrying the distant vocal tones of Von Till. 'Levitation' captures the endless fields of the rural landscape in a meditative sound wash not too far removed from Justin Broadrick's post-Godflesh project Jesu. And given the connections between Godflesh and Neurosis over the years that influence isn't too surprising. Music For Megaliths returns to archaic realms on 'White Horse'; a gentle acoustic guitar shimmer over wavering psychedelic drones. "Stones call to me, just as they always have. A gateway to the mysteries and a pathway to the ancestors" he imparts in deep solemn tones. Von Till's reverence for the stones is unmissable here but I do struggle with lines such as "Witness the beast arising, as earth fire rises, up through the spine, filling the heart exploding the mind erupting from the crown of my skull". Aren't the stones a space for sanctity and peace? I'd be intrigued to hear Von Till speak about his relationship to these ancient sites.